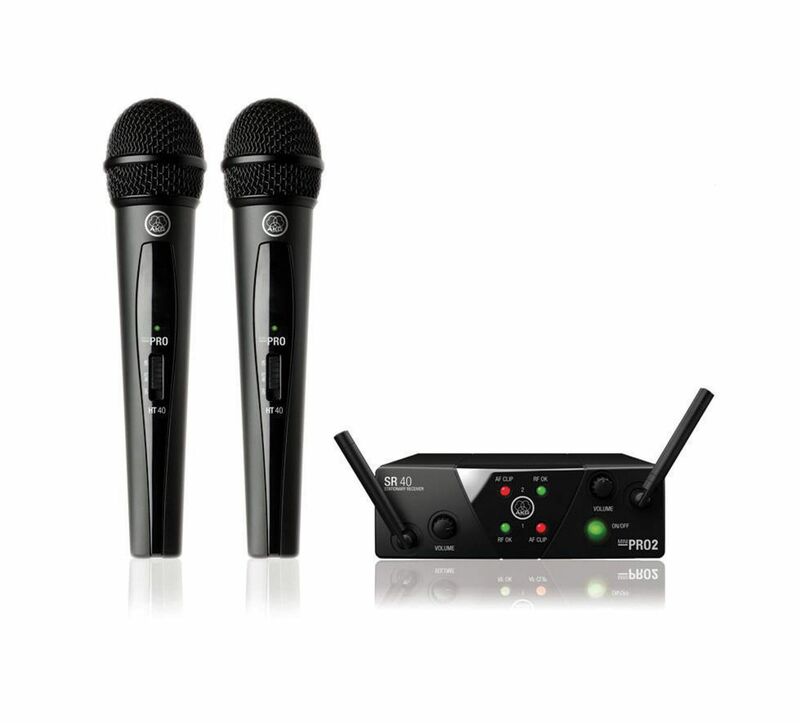 The WMS40 mini2 Sets ensure brilliant sound and ease of use at an unbeatable price/performance ratio. It is the optimum wireless solution for small stages, clubs, places of worship, hotels, and gyms. Unique HDAP (High Definition Audio Performance) technology ensures the best possible, most realistic sound at any time. The SR40 mini2 receiver provides three status LEDs each for channels 1 and 2, indicating ON/OFF status, received signal strength (RF OK), and audio clipping (AF CLIP). The VOLUME control sets the level at the ¼" output jack. Each receiver comes with a universal 12-V switched mode power supply. The illuminated ON/OFF button switches both channels on and off simultaneously. The WMS40 Mini system stands out for its extremely long battery life of 30 hours with a single AA battery which helps saving money in the long run. Operates on the licence-free ch 70 frequency range. Suitable for use in karaoke, entertainment, classroom, conference and other presentation applications. A channel 38 (16 frequency) wireless lapel system. Ideal for responsive conference's , events, teaching etc. The PWM1000UHF system operates within the channel-70 license free UHF frequency range and has 8 selectable operating channels to choose from.